There’s something about leadership teams. Whether in cartoons, sports, or in real life, we somehow instinctively get that we need the various gifts and strengths of others to succeed as a leader. It may be easy to understand this need as an essential concept, but it’s a lot harder to think through in real life. In real life we get annoyed that more people don’t think like we do. In real life we are naturally attracted to those who get what needs to be done organizationally in the same way we do. In real life we tend to see our personal strengths as the greatest organizational need to help our company succeed. BUT, the truth is there’s no one perfect leadership style. 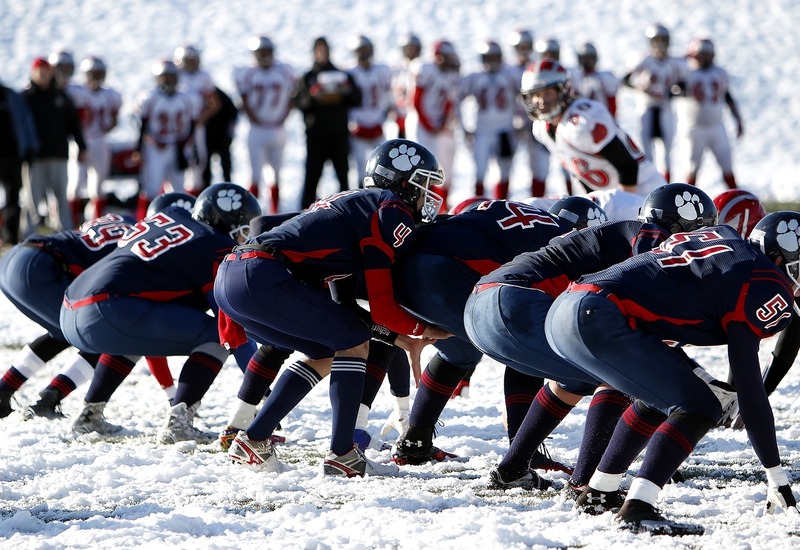 I’ve been thinking a lot about various leadership styles and believe every team needs leaders who cover the six main questions asked in any task: who, what, where, why, when, and how. I think these questions can be boiled down to three main leadership styles, connected to three of these foundational questions. Doers Ask Where? Who? When? Visionary leaders are the ones in your organization who are always asking, “Why”. They clearly understand why you exist and why what you do matters. To these leaders, the mission of your organization is much more than a cute saying collecting dust on a meeting room wall, it’s a personal mission to make a difference in the world. They believe the cause they’re leading to their very core. Visionary leaders often lead the pack. They’re the ones who look to the horizon and see hope in the future. They believe when others give up. They push forward while others flee in fear. They dream big and believe boldly. The downside: Visionary leaders can easily get frustrated with details. They’re always looking ahead to the future and grow frustrated with those who are always wondering how something will be accomplished. They’ll be tempted to push dreams into the realm of reality too quickly, and without wasting any time on a purposeful plan. This can result in hurt feelings, communication chaos, and lost money, time, and resources. It can also create an organizational and leadership void that can be difficult to fix. This is why the healthy visionary leader must surround himself with the other two types of leaders. Strategic leaders are those in the organization always asking, “What”. They see problems and intrinsically know what needs to be done. If you were painting a house, the strategic leader would be the one thinking through the best place to lay the tall ladders on the house. They work best next to a visionary leader and help bring the vision to life. They immediately know the various actions an organization must take to accomplish a mission. The strategic leader will often see the world as a series of goals to accomplish. They’re always thinking about the next target to hit. They want to take action and get the mission moving. Similar to a visionary leader, they may want to move fast and love change. The downside: Strategic leaders like facts. They want to set goals and get moving. But, because of this, they may struggle if there’s too much brainstorming and relationship building (in their opinion). To them, these kinds of activities don’t accomplish goals. They also may struggle when attempting to turn a visionary’s dreams into action. It can sometimes be difficult to determine which dreams should be taken as actionable, and which are simply verbal brainstorming by a visionary leader. Strategic leaders can also struggle when there’s too much processing. To them, the action-item needing to be done is plan enough. But, again this can lead to confusion, stress, and communication chaos when enacting the plans of a strategic leader. Process leaders are those in the organization asking, “how” things should get done. Like the 4 year old responding to every statement his parents make with, “But why…,” the process leader will ask, Yes, but how,” to every dream or plan the leaders around them have. They’re detail-oriented and can work with documents as well as people. To a process leader a well-made document and process is quality leadership. They think in steps and create order. Ambiguity can drive them crazy because they want to take the guesswork out of any plan. Process leaders are sometimes the forgotten leadership style. Visionary leaders see something they’d love to do. Strategic leaders then say, “Great, let’s go do it now.” Process leader can be left out of the equation because their questions can come across as fear, hesitation, or as not having enough vision. But, process leaders live by Ben Franklin’s famous quote, “An ounce of prevention is worth a pound of cure.” If a plan is worth doing, then it’s worth planning well. The downside: Process leaders lay on a spectrum, like all leaders do. Some are so detail-oriented that they struggle with any ambiguity and actually do have trouble hearing vision. They may wonder why the visionary leader is always thinking about the future when there’s so many problems to solve right now! They can get bogged down and details and wanting to get the process right that they don’t take any steps forward. They need strategic leaders pushing them to take action and move forward. They also need visionary leaders continuing to paint a bright picture of a desirable destination. Doers can be leaders, but they’re primarily the ones affected by leadership decisions. Once decisions are made, they primarily want to know two things: 1. How does this affect me? 2. What am I supposed to do in response to this decision? They want to know, “Who, when, and where.” Who will be involved in this and who will this affect? When will this happen, and how does that affect me? Where will this take place and what will I have to do? They want to know the details want to be brought along in the process. It can be frustrating for volunteers to suddenly have a big change thrust upon them that will affect them in a major way. You can read more about this idea HERE and HERE. 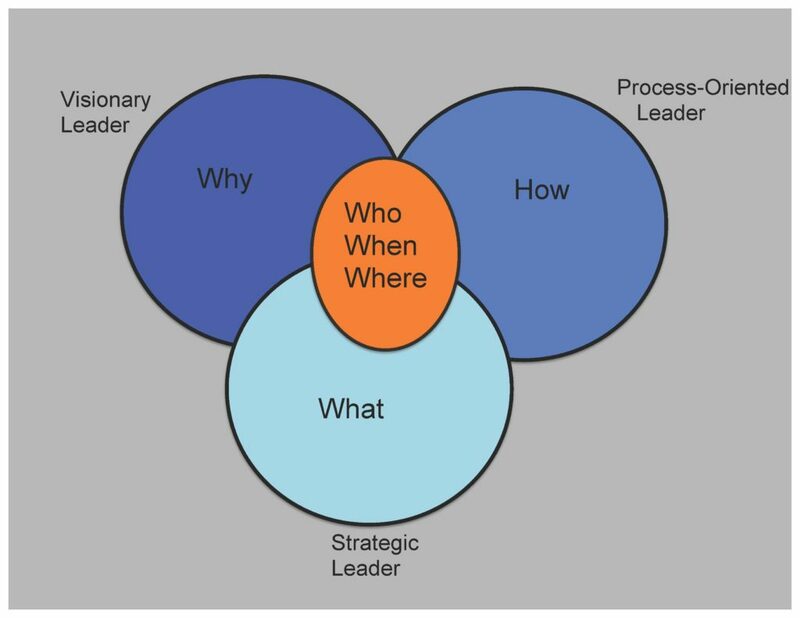 The three major leadership styles (visionary, strategic, process) can all also think through these other three questions when making decisions. But, it’s important to remember that no one style owns the rights to decide who, when, and where more than others. A visionary leader can fall prey to thinking that deciding where something happens is the job of the vision. But, strategic and process leaders can add essential input that could change where something happens. The same goes for who and when. As leaders it’s so easy to think our personal style is best positioned to make all decisions, but that’s simply not the case. We need the leadership styles of all three! I’m a process leader. It’s been an interesting journey because for many years I wondered if I was a leader at all. I have never been the largest, loudest or most charismatic person in a group. But, I’ve always had a passion for leading. In any group situation I feel compelled to think through what needs to be done and help the group accomplish it. But, I’ve always been drawn to how. I like to fix problems by creating processes that run so smoothly a leader is hardly even needed. It’s only as I’ve grown older that I realized that being a process-oriented person is a valid leadership style. This is probably my personal bias, but I find that this leadership style is often under-utilized and de-emphasized in organizations. Which style to do you most connect with? There’s a good chance you have a little of each as a leader, but there’s probably one you lean towards the most. Understanding yourself as a leader is the first and most important job you can do as a leader. But, then you need to realize that you don’t have all the answers or skills to make all the decisions. You need other people and other skill sets to round out your own. It really does take a team to make the best decisions. Don’t forget to share, comment, and subscribe.